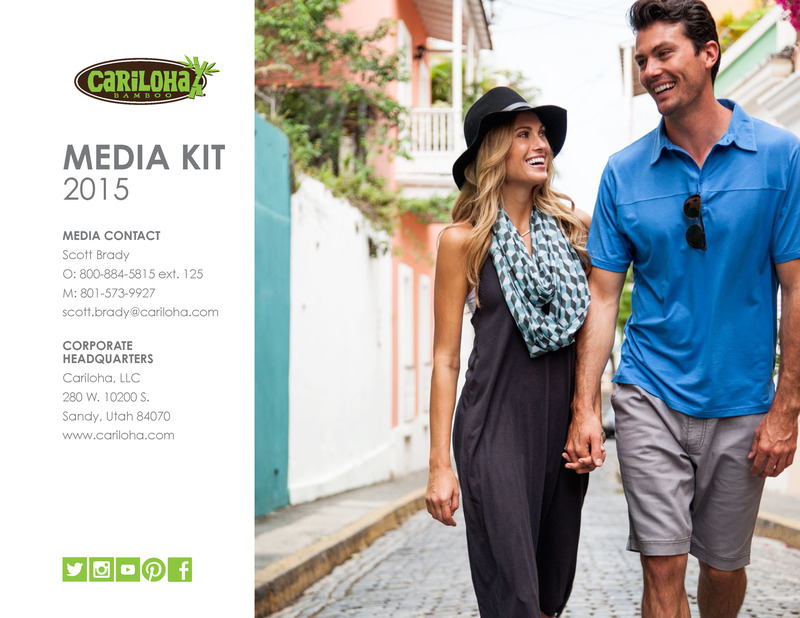 Cariloha’s made-from-bamboo fitness line is available exclusively at Cariloha online and inline stores. SALT LAKE CITY – Bamboo clothing retailer, Cariloha, this week launched several new additions to its men’s and women’s Bamboo Fit line, which is primarily made from eco-friendly bamboo-fabric blends and designed by Cariloha’s product team. Available exclusively at Cariloha stores and online, the new Bamboo Fit add-ons introduce several base-layer options, along with a full line of tops and bottoms that give customer more choices for their various fitness needs. Fitness fans looking for all-natural active wear instead of exclusively synthetic active wear will find it in the Cariloha Bamboo Fit line, which features naturally odor resistant, bamboo-blend fabrics. New additions to the line include: Women’s Racerback Cross Tanks, Women’s Fitted Capri Pants, Women’s Sports Bras, Women’s Fitted Yoga Pants, Women’s X Camis, Women’s Fitness Skirt, Women’s Performance V-neck, Women’s Island Tank, Men’s Performance Crew, Men’s Training Shorts, Men’s Training Pants, Men’s Compression Shorts, Men’s Core Sleeveless, Men’s Hybrid Fitted Long Sleeve. “Ultra-soft, refreshingly cool fabrics like these are typically found in most active wear clothing styles, but the Bamboo Fit line is unlike any other in today’s marketplace because it’s made from bamboo,” said Aaron Hobson, Cariloha’s Executive VP of Marketing. Fans of the bamboo active wear can expect new additions to Cariloha’s Bamboo Fit line approximately twice per year. Currently, the clothing line makes up about 15 percent of Cariloha’s bamboo product mix and takes up about the same retail space in a typical 1,000-square-foot Cariloha store. Cariloha Bamboo Fit products come with a 90-day quality guarantee. If the fitness wear doesn’t live up to the customers’ expectations, Cariloha will replace them without reservation. The tops and bottoms are machine washable and tumble dried low, so maintenance is easy and worry-free. They get even softer after washing. You can see the entire Bamboo Fit line on this Cariloha Pinterest Board.